A large community need and requests for Rheumatology services from both the medical staff and affiliated Independent Physician Associations has created a full-time Rheumatology practice opportunity near Lakewood Regional Medical Center, located just 3 miles away from the Long Beach Airport. The practice will be set up as a private practice with professional management services. Office space will be shared with two other physicians and is located in Long Beach, CA. If you are seeking a long term career opportunity in Southern California and would like to be your own boss, then you owe it to yourself to explore this opportunity! Candidates must be BE/BC in Rheumatology with an active CA license or eligibility to obtain licensure in the state of California. 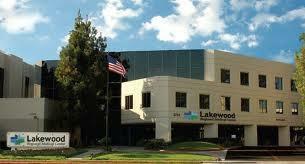 Lakewood Regional Medical Center, a 172-bed acute care community hospital in Lakewood, California, has been serving the medical of the surrounding communities since 1972. Lakewood Regional Medical Center provides quality medical and surgical services and programs including, cardiology, bariatrics (surgical weight loss management), orthopedics and emergency care.